For years, QuickBooks has changed a lot in Business Accounting. It has advanced features that make it highly useful even for non-accountants. 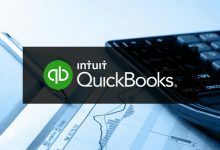 QuickBooks enables users to manage each of their accounting tasks, including accounts receivable, accounts payable, financial reporting, credit card management and lot more. Apart from these essential accounting tasks, QuickBooks also can be efficiently used to pay bills. It’s faster than manual methods. It leaves an electronic record of your accounts payable. And it helps ensure that bills are paid accurately and on time. Paying bills in QuickBooks Online is very easy. QuickBooks makes it easier by providing multiple options to pay on the same page. Let’s go through QuickBooks’ bill payment process. Click on the Vendors tab in the vertical toolbar on the left side of the screen. The page that opens displays a horizontal chain of bars near the top, color-coded to indicate what they represent: Purchase Order, Open Bills, Overdue, and Paid Last 30 Days. 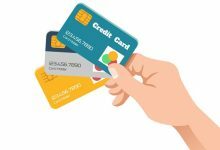 Each segment tells you how many transactions share that status as well as their total dollar amount. When you click on a segment, the table below changes to include a list of the actual transactions. At the right end of each line is a ‘Make Payment’ link that you can click to get a payment screen. If you want to see the actual bill that was sent, click on the vendor name. You can click on the plus (+) sign at the top of any screen where it appears and navigate to Vendors. Open the bill and click on the ‘Make Payment’ link in the upper right corner. You can generate a printed copy if you’d like to keep a copy for your records. It is a user-friendly program made to be understandable by the existing QuickBooks users. The user can work on two files simultaneously. Also, the application facilitates improved task efficiency while minimizing time. It grows with your business as it is scalable. You can extend it further with 15 to 30 users’ configuration. Customized permissions and rules can be set to restrict or allow certain users. Writing checks and/or processing electronic payments on time can be a constant challenge. QuickBooks’ bill-paying tools can help you with that. So, simply embrace the benefits of QuickBooks as it makes managing business easy using just a few clicks.